There were times when Charles Darwin found it difficult to trust his own species. Writing to the philosopher, William Graham, in 1881, he described how “horrid doubt always arises whether the convictions of man’s mind, which has been developed from the mind of the lower animals, are [sic] of any value or at all trustworthy”. Darwin frequently returned to the theme of trustworthiness in his correspondence and works. He managed his own self-doubt about whether his mind could be trusted through rigorous method and keen observation. And he was sensitive to how he might assuage the doubts of his Victorian readership through the style of his prose. The ways in which Darwin’s manner of writing courted his audience’s trust and fellow-feeling is an undervalued aspect of his intelligence. It was Einstein who said that there is “something like a Puritan’s restraint in the scientist who seeks truth: he keeps away from everything voluntaristic or emotional”. Affect seemed at odds with the scientific project in the nineteenth century too, making it remarkable that Darwin’s last major work, The Expression of the Emotions in Man and Animals (1872), attempted to fit the emotions into his larger evolutionary framework. The Expression disavows “older treatises” about the passions colored by religious notions of the soul. In place of these ideas, Darwin redefined emotions as universal and visible reactions which can be read – as the etymology of ‘emotion’ implies – in physical movement. However elusive the essence of fear, anger or joy might seem, the experiences of these feelings are, Darwin argued, indivisible from their outward manifestation. When we are moved, we move, just like animals. A frightened cat’s hackles rise. Its pupils dilate. It cowers. 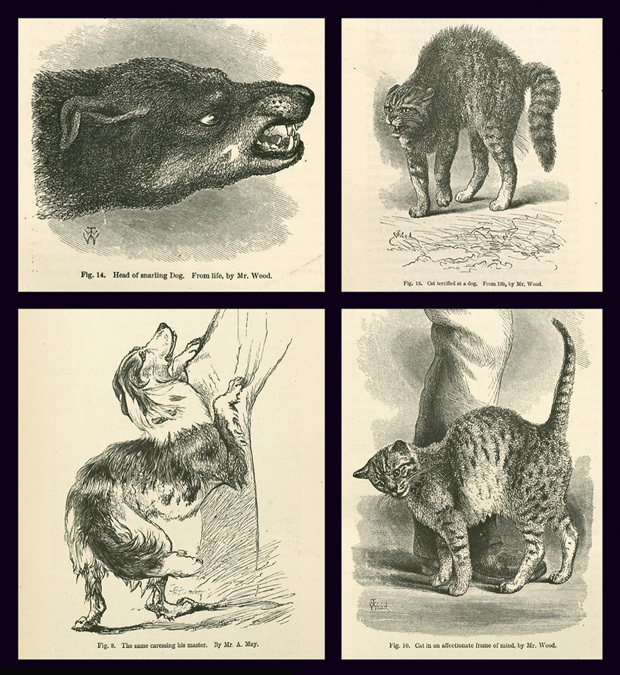 Darwin complained in the 1870s, that even with The Origin of Species having been in circulation for over a decade, “man and all other animals are viewed as independent creations.” How the public thought about emotion contributed to this illusion. The Expression’s fourteen chapters deconstruct animal and human ‘emotions’ into measurable components: the rate of a heartbeat, the prickling of hair follicles, contractions of facial muscles and the resulting angles of the face’s features. Darwin sets out his empirical methods for the project in the text’s Introduction, acknowledging the work of his “informants,” who had begun their investigations in 1868 . Armed with questionnaires and calipers, these missionaries of science ranged from correspondents in “various parts of the Old and New Worlds” whose findings arrived at Down House in the post, to female neighbors monitoring their infants’ emotional development. Despite the elaborate collection of evidence (for its time), Darwin foresaw that his readers might bristle at the comparison between their finely-wrought inner lives and those of their domestic pets. He would need more than data to argue his point. Science is not just a case of getting the facts right (history shows again and again that this is not necessary for theories to be adopted). Propositions must be offered in such a way that makes an audience want to believe them. The Expression was also to be an exercise in persuasion. By the 1870s, the British public had developed an appetite for experimental proof, but were still most comfortable putting their faith in gentleman scientists. Judy Segal has suggested that to be seen as a trustworthy producer of knowledge at this time, a man of science needed “a set of gestures, tropes, and norms that govern appropriate methods of the properly scientific production of persuasive speech and action”. Of this Darwin was well aware, writing in The Descent of Man (1871) that science’s appeal to laypeople “depend[s] on our [scientists’] appreciation of the approbation and disapprobation of others,” an appreciation which is often “founded on our sympathy.” During this transition from a ‘trust me’ to a ‘show me’ culture, methodology could be advantageously complemented with touches of personality. Darwin offers up his own sensations as representative, encouraging his readers to experience these movements as if they were their own. These vignettes become more intimate, as when Darwin describes himself in the middle of “violent vomiting or retching, … I have myself experienced and seen in others, the orbicular muscles are strongly contracted, and tears sometimes flow freely down the cheeks” (153). Darwin’s body is offered in communion with his readers as a shared experimental and experiential domain. Darwin encourages his genteel readers to admit they “must have noticed how easily after one blush fresh blushes chase each other over the face” (288), and that the “impoliteness of gaucherie, any impropriety … will cause the most intense blushing of which a man is capable. Even the recollection of such an act, after an interval of many years, will make the whole body to tingle” (306). To see Darwin caught up in his private memories, a reader cannot help but finish the chapter endeared and moved by this self-portrait. Charles Darwin, Life and Letters, Volume 1, pp.315-16. Einstein quoted by Steven Shapin, “The Way We Trust Now,” p.51; Einstein, Essays in Physics (1950), p.68. Darwin deemed Bell’s Expression: Its Anatomy & Philosophy (1844) to be useful in its detailed accounts and diagrams of facial anatomy, but felt that it was limited by a Christian conclusion that the emotions “rest in Him as their object.” p.3. Judy Segal, “Introduction. Scientific Ethos: Authority, Authorship, and Trust in the Sciences,” Configurations, Volume 11, Number 2, Spring 2003, p.140. The Descent of Man (1871), p.159. Janet Browne, Power of Place (2003), p.351, quoting from newspaper clippings in Darwin’s own collection, Cambridge University Library, DAR 129, 75, 104.
 ed. J. Cain, Charles Darwin, The Expression of the Emotions in Man and Animals, p.xxxiv. Steven Shapin, review in LRB, 7 January 2010, for the celebration of Darwin’s 200th anniversary in 2010, pp.3-9. John Bowlby’s biography focuses on Darwin as an invalid (1991). 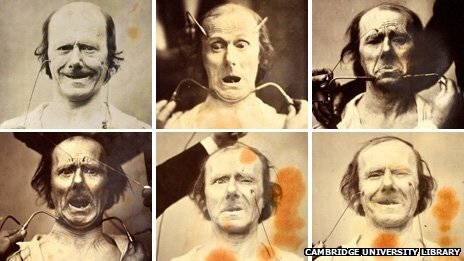 Charles Darwin’s last major work, The Expression of Emotions in Man and Animal, tried to explain and trace the animal origins of human emotions. Darwin believed that emotions were not a uniquely human trait. Instead, he argued that human emotions were a genetic trait and undoubtedly similar to the expressions made by animals. 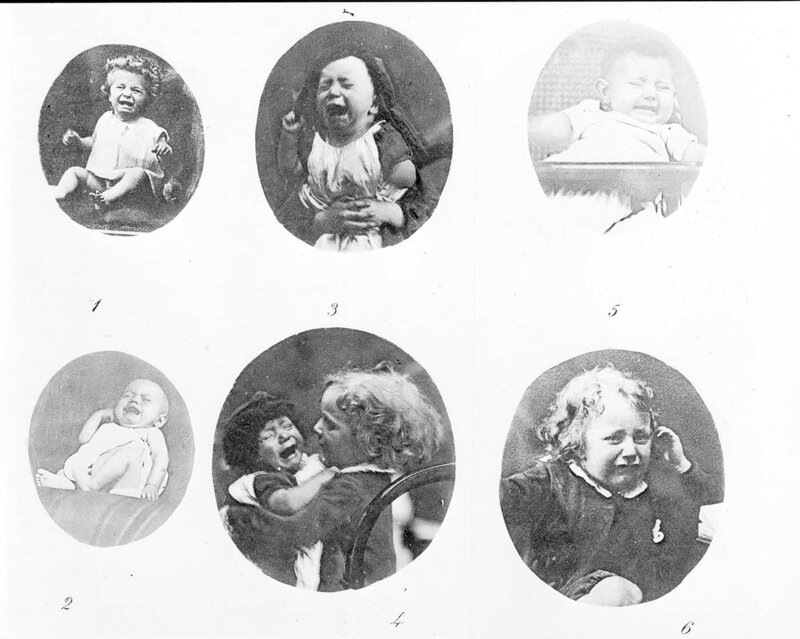 As part of the book, Darwin examined human expressions and emotions in depth. Kate Womersley at Remedia has posted an article about the interdisciplinary nature of Darwin’s study of emotions. Like Darwin, Womersley argues that understanding human emotions requires co-operation between “a range of disciplines” to fully “investigate scientific and medical” issues such as emotions.